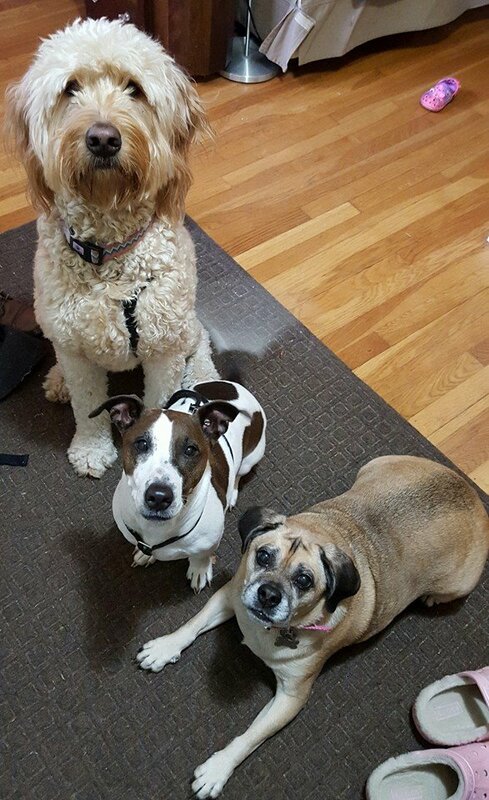 March 26, 2018 — Darwin’s Natural Pet Products of Tukwila, WA, has announced it is voluntarily recalling four lots of dog food after testing showed that specific products have tested positive for Salmonella and/or E. coli O128. These pathogens can cause serious and sometimes fatal infections. 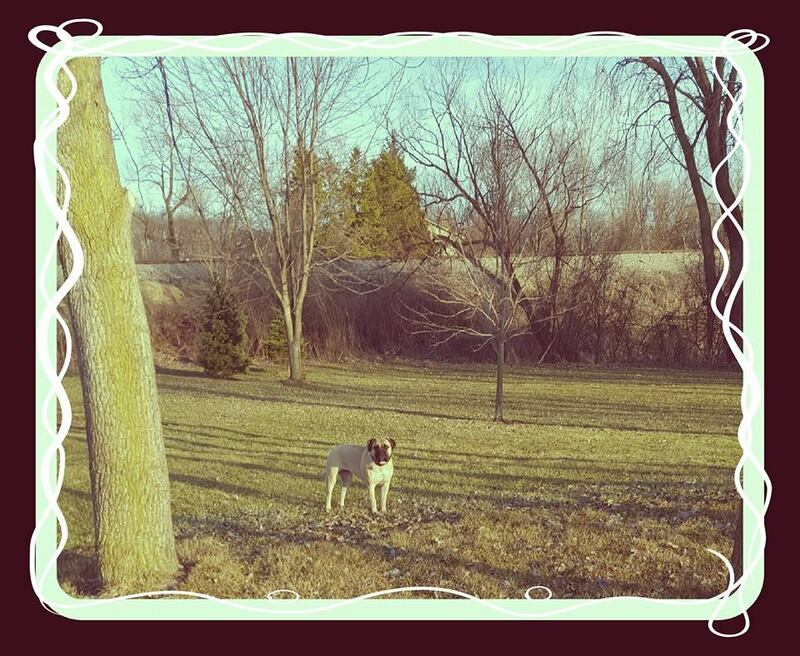 Darwin’s Natural Pet Products are exclusively sold to customers through a subscription service. Customers who purchased the products have been notified of the recall directly by Darwin’s. 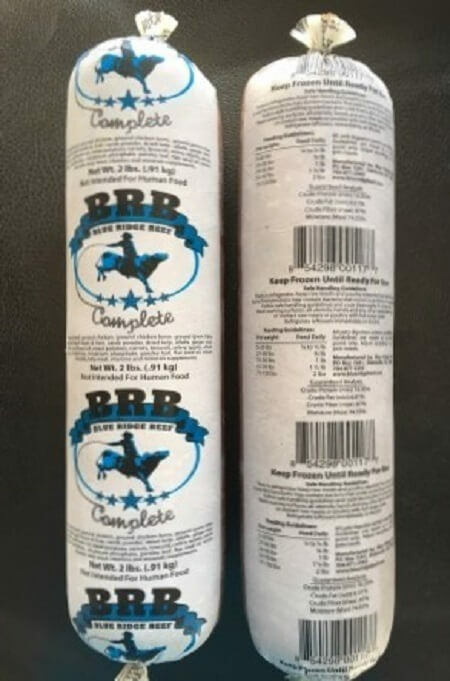 March 26, 2018 — Blue Ridge Beef of Eatonton, GA, is voluntarily recalling one lot of its BRD Complete raw pet food because of the potential of contamination with Salmonella and Listeria monocytogenes. 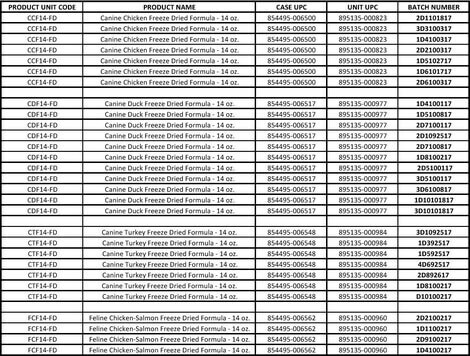 This recall was initiated after samples collected and tested by the FDA showed positive for Salmonella and Listeria monocytogenes. There has been no consumer or pet illnesses in association with this product. 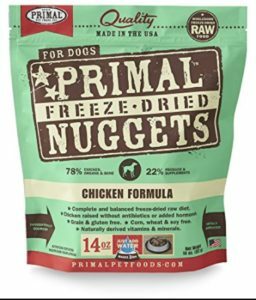 December 21, 2017 — Primal Pet Foods of Fairfield, California, is voluntarily recalling specific lots of 5 of its freeze-dried poultry products because their grind size exceeds the ideal size of ground bone to be fed to dogs and cats. 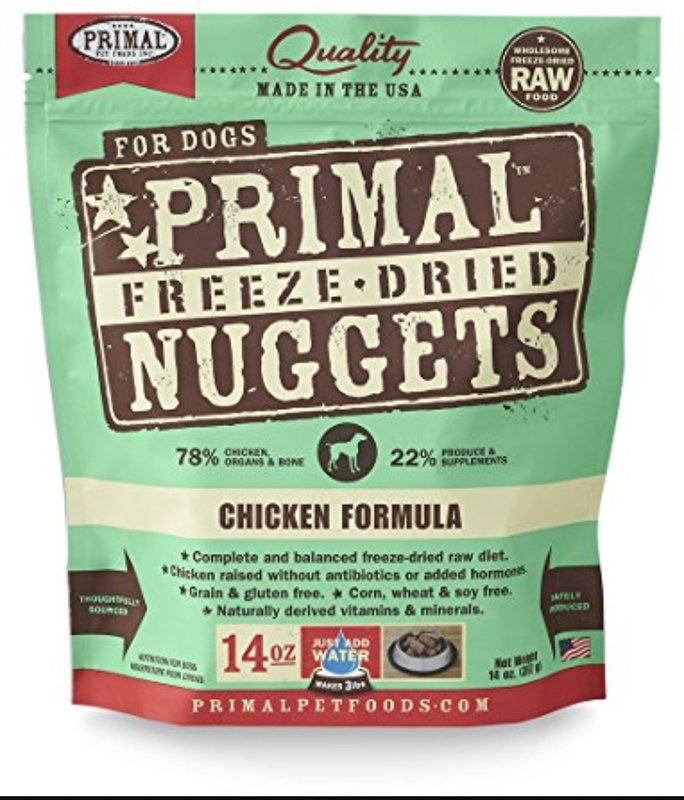 Affected products include Primal Canine and Feline Freeze-Dried Poultry Formulas. Click here for a more readable copy of the following list of recalled products. The company asks that affected products be returned to the Primal retailer from where they were originally purchased for full credit. 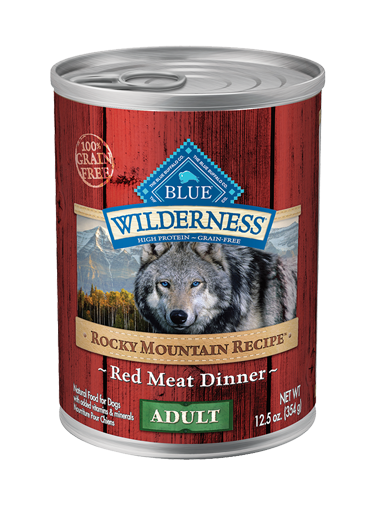 Folks, you read it right…there has been yet ANOTHER dog food recall…this time Blue Buffalo Rocky Mountain Recipe. 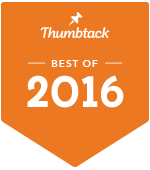 It contains the same naturally occurring thyroid hormone we just published in our previous blog post. My guess is that these companies are using the same beef suppliers? I wonder how this naturally occurring hormone is being found in excess in this meat? What are your thoughts on this? We’d love to read them! 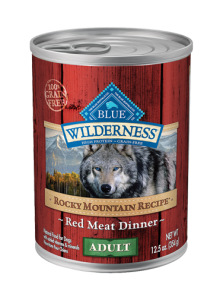 March 17, 2017 — Blue Buffalo Company is voluntarily recalling one production lot of BLUE Wilderness Rocky Mountain Recipe Red Meat Dinner Wet Food for Adult Dogs because the product may contain elevated levels of naturally occurring beef thyroid hormone. 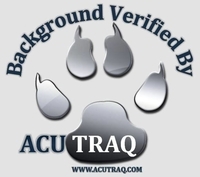 Affected products were distributed nationally through pet specialty and on-line retailers. No other Blue Buffalo products are impacted by this issue. Dogs ingesting high levels of beef thyroid hormones may exhibit symptoms such as increased thirst and urination, weight loss, increased heart rate and restlessness. These symptoms may resolve when the use of the impacted food is discontinued. However, with prolonged consumption these symptoms may increase in severity and may include vomiting, diarrhea, and rapid or difficulty breathing. Should symptoms occur, contact your veterinarian immediately. Although the Blue Buffalo Customer Care Resource Team has not received any reports of dogs exhibiting these symptoms from consuming this product, the FDA advised Blue Buffalo of a single consumer who reported symptoms in one dog, who has now fully recovered. Blue Buffalo immediately began an investigation. However, after working with the FDA, Blue Buffalo decided it would be prudent to recall the one production lot in question. If your pet has consumed the product listed above and has exhibited any of these symptoms, please discontinue feeding and contact your veterinarian. Consumers who have purchased the product subject to this recall should dispose of it or return it to the place of purchase for full refund. Consumers with questions may contact Blue Buffalo at 866-201-9072 from 8 AM to 5 PM Eastern Time Monday through Friday. 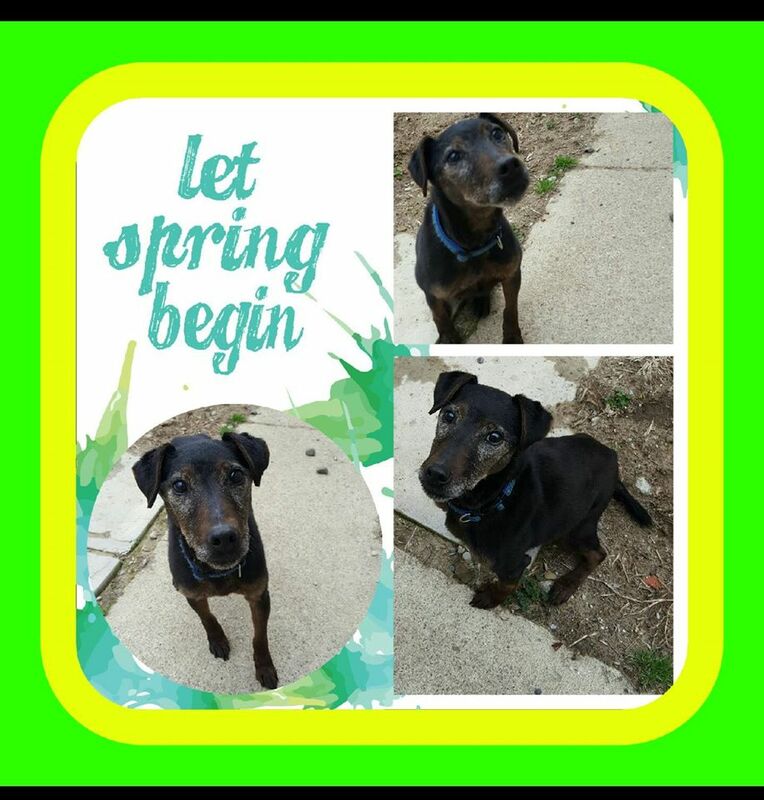 Or by email at CustomerCare@bluebuffalo.com. 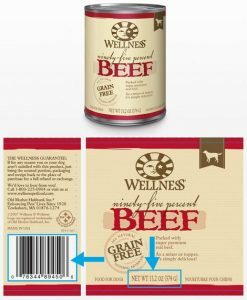 Wellness Dog Food company has issued a recall for it’s 95% Beef canned variety because of a naturally occuring beef thyroid hormone found present in the food. The hormone can affect metabolism, but thankfully side effects are reversible. Read on for details! 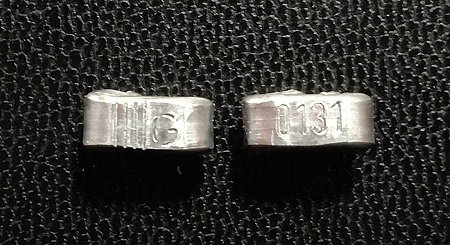 Best-By dates can be found on the bottom of each can. No other Wellness products are affected. Elevated levels of thyroid hormone may affect a dog’s metabolism and can be associated with increased thirst and urinary output, restless behavior and weight loss. Multiple studies indicate that for the vast majority of pets, symptoms are reversible as soon as the pet stops eating product with elevated thyroid hormone. 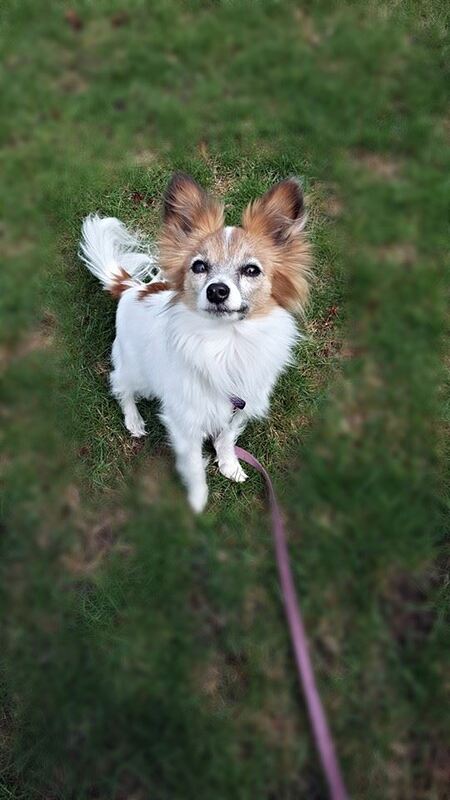 Because the recipe is a mixer or topper and intended for intermittent or supplemental feeding only, the likelihood of a dog being affected is remote. 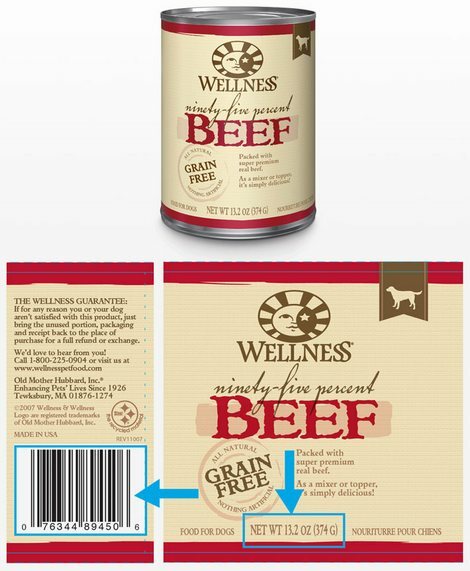 WellPet has received no reports of any health problems as a result of feeding the affected recipe. 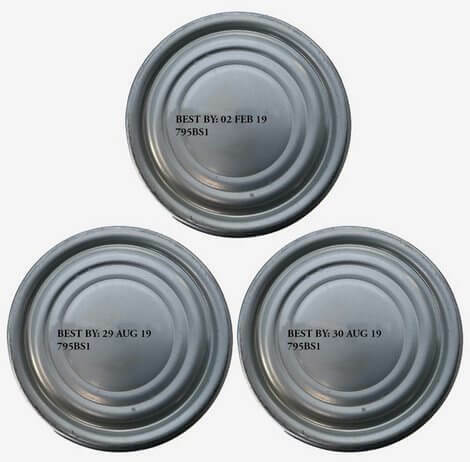 However, the company is voluntarily recalling three best-by dates as an extra level of precaution. Or call the company at 877-227-9587. March 2, 2017 — Blue Buffalo has issued a voluntary market withdrawal of 17 varieties of its Blue Divine Delights and Blue Wilderness Trail Trays due to quality issues with the foil seals on the top of the cups. No other Blue Buffalo products (including any variety of Divine Delights not listed below) are impacted by this issue. The company is not aware of any dogs becoming ill from these products. Blue Buffalo has asked consumers to stop feeding the affected product to pets and bring any remaining cups affected by the withdrawal to their place of purchase for a full refund. 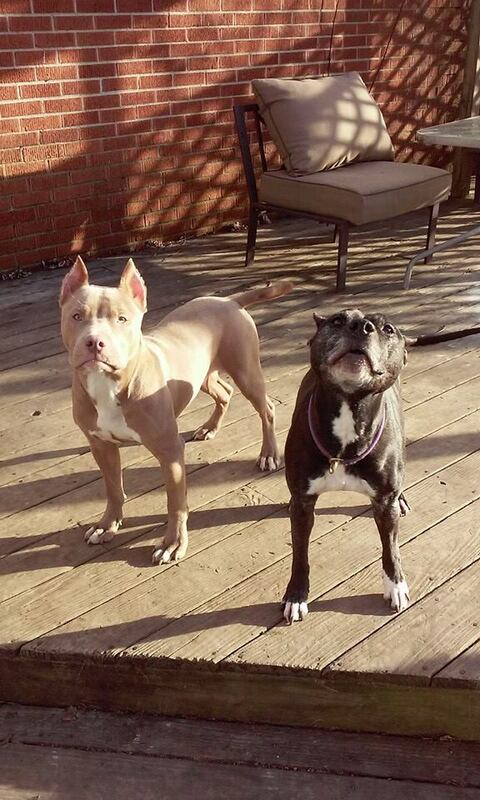 Consumers with questions about this market withdrawal are invited to contact Blue Buffalo at 877-870-7363. 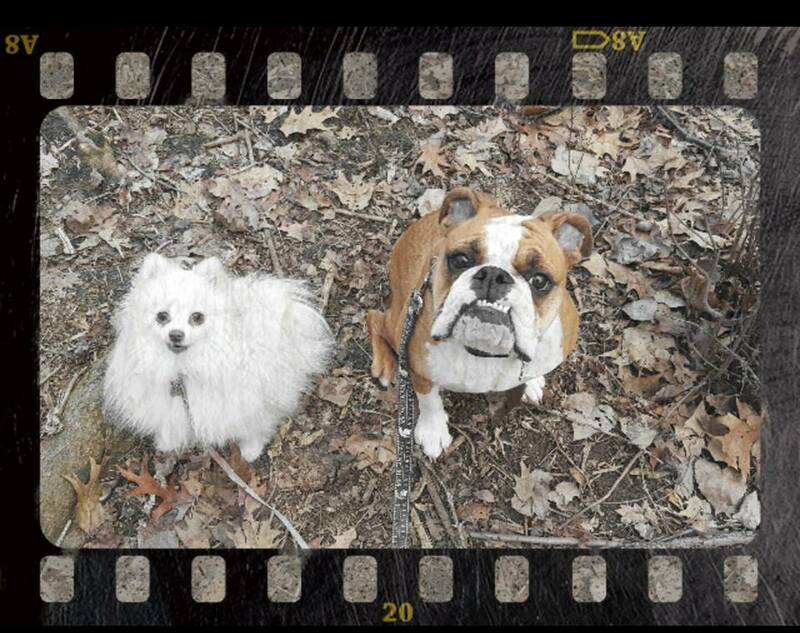 Professional, High Quality, Customized Pet Sitting and Dog Walking Services! We proudly serve the Ypsilanti, Belleville, and Superior Township areas of Michigan. Copyright Furry Footsteps LLC© 2019 All Rights Reserved.